Very Good. 0061235911 ALL BOOKS SHIPPED WITHIN 1 DAY OF PURCHASE! Glasser, Robin Preiss. Good. Fancy Nancy: Splendiferous Christmas (Fancy Nancy (Promotional Items)) by O'Connor, Jane, 2009-11-03. Library binding. Paper over boards. With dust jacket. 32 p. Contains: Illustrations, color. Fancy Nancy (Promotional Items). Intended for a juvenile audience. Glasser, Robin Preiss. Very Good. 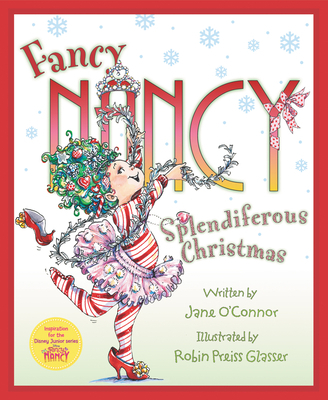 Fancy Nancy: Splendiferous Christmas (Fancy Nancy (Promotional Items)) by O'Connor, Jane, 2011-08-23. Picture book. Sewn binding. Cloth over boards. 32 p. Contains: Illustrations. Fancy Nancy. Intended for a juvenile audience. Glasser, Robin Preiss. Very Good. Everyone's favourite sparkly little girl, Fancy Nancy is back in this oh-so-festive new Christmas story from magical duo Jane O'Connor and Robin Preiss Glasser. Glued binding. 32 p. Fancy Nancy . Includes illustrations. Intended for a juvenile audience. Glasser, Robin Preiss. Good. Everyone's favourite sparkly little girl, Fancy Nancy is back in this oh-so-festive new Christmas story from magical duo Jane O'Connor and Robin Preiss Glasser. Glued binding. 32 p. Fancy Nancy . Includes illustrations. Intended for a juvenile audience. Fancy Nancy: Halloween... or Bust!